The inflammatory response to stimulation with endotoxin of lactating and nonlactating mammary glands of sheep was examined. Similar numbers of neutrophils and mononuclear cells were recovered from nonlactating glands sampled every 2 h for 8 h and in glands sampled once at 8 h. Thus the inflammatory response was initiated by 2 h and repeated sampling did not modify the time course of the response. In contrast, in lactating ewes, fewer cells were recovered from glands sampled every 2 h than from glands sampled once at 8 h. Fewer neutrophils were also recovered when glands were serially sampled from 4 h to 8 h. Thus, removal of milk and inflammatory exudate modified the time course of the leukocyte influx into lactating glands. Significant accumulation of neutrophils occurred by 2 h in dose-response experiments in nonlactating glands. Peak accumulation of neutrophils occurred between 2 and 6 h, and a marked decline occurred after 8 h. In lactating glands, a slower onset and longer duration of neutrophil accumulation occurred. Twenty- to 30-fold more neutrophils were recovered by 8 h in lactating than nonlactating glands. This difference was not due to a lower threshold of sensitivity to endotoxin. Infusion of milk into nonlactating glands did not modify the intensity or time course of the inflammatory response to endotoxin. Thus, the physiological state of resident cells within the lactating gland, rather than the interaction of inflammatory exudate with milk, can account for the different reaction pattern in lactating glands. 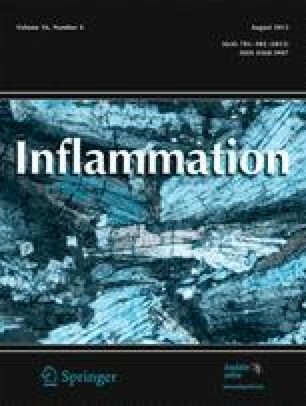 Inflammation in the nonlactating gland closely resembles inflammatory rsponses in skin and provides a convenient model for investigating the initiation and regulation of inflammatory processes.